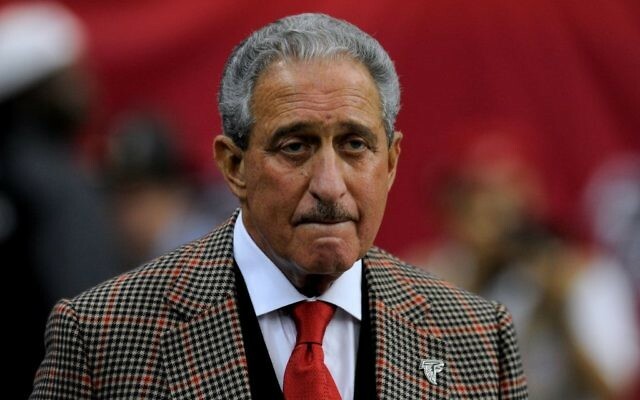 In Super Bowl LI, Arthur Blank’s team did more than turn Atlanta’s greatest sports night into its worst. When the Atlanta Falcons came crashing down in Super Bowl LI, failing to hold a 25-point second-half lead before losing to the New England Patriots, 34-28, in overtime Sunday, Feb. 5, Arthur Blank’s team did more than turn what could have been Atlanta’s greatest sports night into its worst. The loss also inflicted some suffering on the legions of synagogue members and rabbis among the Falcon faithful. Congregation Beth Jacob had a crowdfunding challenge against an Orthodox young-adult outreach organization in Boston, JPULSE. An anonymous donor put up $5,000; the Super Bowl outcome determined whether the money went to support needy families in Jewish Atlanta or to extend JPULSE’s work in Boston. That $5,000 slipped through Beth Jacob’s fingers in part because New England’s star Jewish wide receiver, Julian Edelman, didn’t let the ball slip through his on one of the most miraculous catches of the Super Bowl era. But the news wasn’t all bad in Toco Hills: To qualify for the bet, each side had to raise at least $12,500 for itself in three days; Beth Jacob brought in $18,061. The Temple also had a consolation prize from the Falcons’ loss. Rabbi Peter Berg and his counterpart at Temple Chayai Shalom in Easton, Mass., Rabbi Ken Carr, launched a crowdfunding campaign with a bet on the game. Because the Patriots won, Health Imperatives in Brockton, Mass., gets two-thirds of $2,031 raised, while the Zaban Paradies Center receives the rest ($677). For Temple Sinai’s rabbinate, the Falcons’ historic collapse brings insult and injury. Not only will the Sandy Springs congregation have to make a $180 donation to the charitable cause of Temple Beth Shalom’s choice and send a couple of cases of Georgia candy northward, but the Needham, Mass., synagogue’s newsletter, Facebook page and other communications outlets will carry a photo of the Sinai clergy and staff wishing mazel tov to the Patriots and Beth Shalom. Still, former Atlantan Rabbi David Geffen maintained the Rise Up faith from Jerusalem, where he and other Southerners watched the big game in the early hours of Monday, Feb. 6.